Are you a fan of toffee? 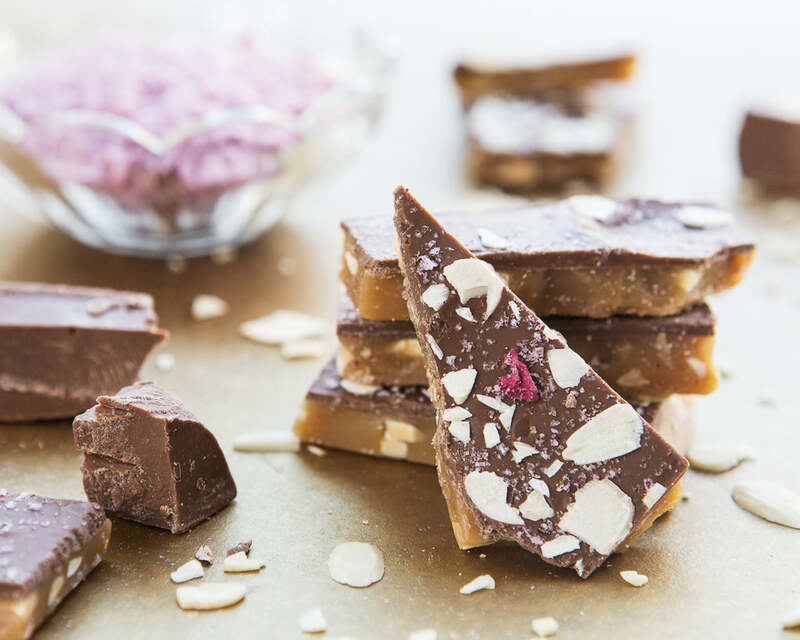 If so, you will want to know about McFaddy Candy Company, which Chef Kate Ellis at the helm turning out natural, handmade toffee, made with real high-quality ingredients. I recently had the opportunity to sample three of McFaddy Candy Co.'s popular flavors -- strawberry kiss, pecan pie and pumpkin spice. I have always loved toffee, but it is hard to find good quality toffee. Many toffee that you find in candy shops is processed off-site in a factory and contains a lot of sugar and artificial flavors. You can taste this when you bite into the toffee...very disappointing. I first heard about McFaddy Candy Co. a few months ago when I was had a craving for toffee and wondered what was available online for ship to home. I made a note about this toffee company for the holidays. After reaching out to McFaddy Candy Co., they were kind enough to send along samples of their delectable toffees to sample. "Wow!" their toffee was full of flavor. You could tell a lot of time and effort into making this high quality toffee. It had that homemade taste, but also tasted like a gourmet toffee you would find in an expensive candy shop. Out of the three flavors sent, my favorite was strawberry kiss. It had just the right amount of sweet creaminess of strawberry chocolate, covered by buttery handmade almond toffee. Yum! I am getting hungry just thinking about it. And, oh how I wish I had more McFaddy Toffee to enjoy. 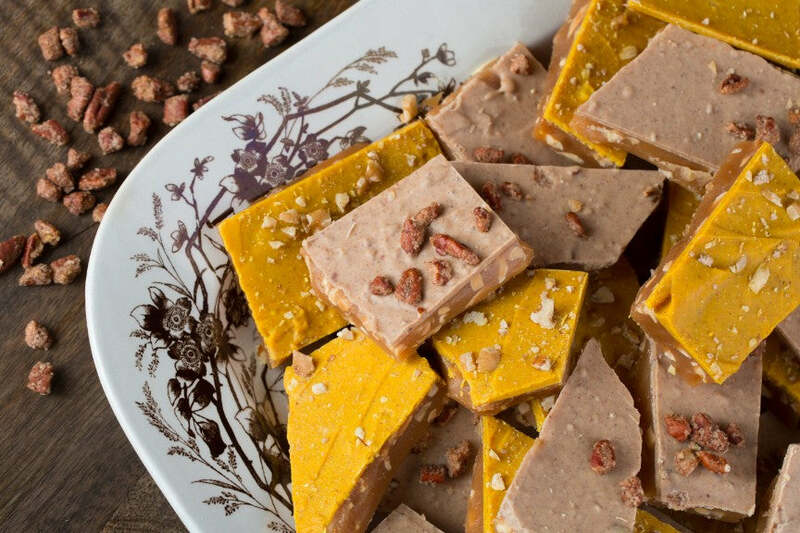 "McFaddy Candy founder Katherine Ellis came out of three days of surgery with a new straight spine and a clear vision: to make toffee based on her mom’s recipe; and like all she loved, it had to be unique! Yes, there was everything right with the texture and flavor of her toffee; but why couldn’t chocolate be flavored in more unique ways? And then put on toffee! Like many women, Katherine has always appreciated beautiful packaging, and she knew she wanted to present her toffee in a visually-appealing way, that was also good for the environment. Mason jars and clear colorful vinyl labels were an easy choice, as they preserve the toffee, reveal its desirability and are 100% reusable and recyclable." In addition to the three flavors I sampled and loved, right now you can pick up a wonderful selection of holiday flavored toffees in single mason jars, as toffee pops, or as gift sets. Here is a wonderful Holiday Set that would surely delight that toffee lover in your life, or to pick up and have on hand for when family and friends come for dinner. "A beautiful mason jar filled with Holiday Stripes, white and dark chocolate hand-painted with organic candy canes, and McFaddy's exclusive toffee pops in Salted milk chocolate and Pecan Pie! Such a holiday treat!" Toffee makes a wonderful dessert addition or to snack on while you wait for the meal, or simply enjoying the company of family and friends this holiday season. 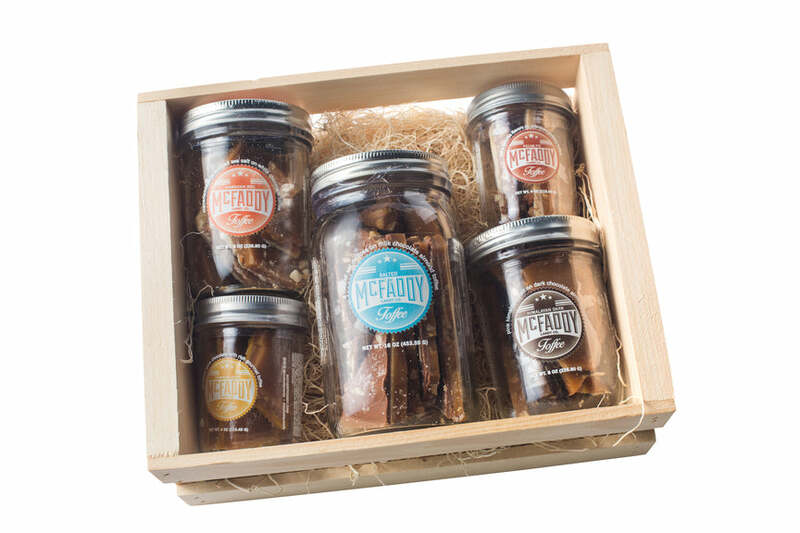 To learn more about the different toffee sets, including the holiday collection which contains 3 of their popular favorites visit the McFaddy Candy Co. website today. You don't want to delay in ordering this toffee, as I expect their toffee to be a popular with toffee lovers nationwide, and for the mason jars to fly off the shelves. And, the best part of this toffee is that you can ship it anywhere. So, send some to yourself, and run down the list of people on your shopping list and send their way. They will be happily surprised to find jars of McFaddy Candy Co. toffee arrive at their door. 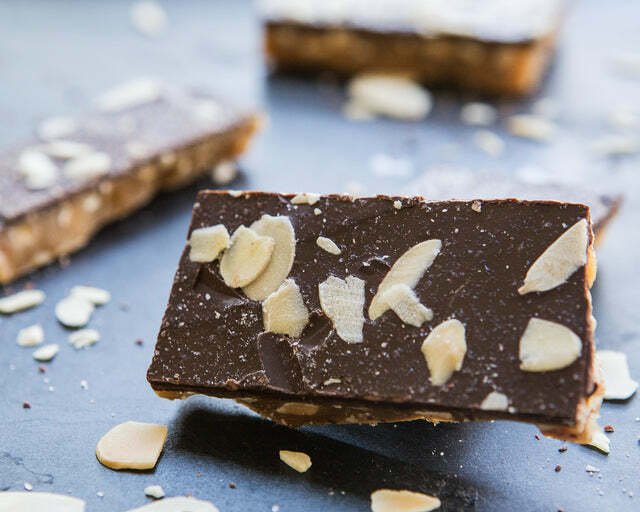 Once they take a bite of this amazing toffee, they will see why so many people love this toffee and continue to buy it.